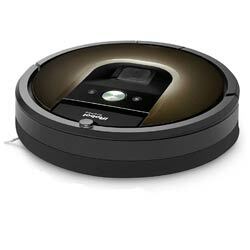 Roomba 980 is one of the cleverest house cleaning robot, which represents in the worldwide market. Roomba 980, whose height is now only 9 cm, is full up with various technologies. With the help of the upper camera, he is avoiding such distinctive features of your apartment as pictures, furniture or fixtures. Each manufacturer has its own "shtick in navigation". The 900 series characterizes the develop of iRobot vacuum cleaners from the chaotic variant to the "adjustable routes". If possible, Roomba 980 moves in entire space in a linear mode. In most cases, this leads to a quick filling of the dust bag and a high cleaning speed. checking the status of all replacement parts. In particular, through notifications in the APP, you will be able to find out when it is time to clean the dust bag or service the motor. The functionality of the APP is the most complete of those presented on the market, while the software remains intuitive to use. Neato D80 is one of the 2015 vacuum robots from Neato Robotics. Based on the results of numerous tests, the manufacturer has received worldwide recognition for the production of reliable robotic vacuum cleaners. The main goal of the company is the creation of robots capable of performing house cleaning as effectively as a person, but without human involve, thereby improving the living conditions, saving energy and time spent on homework. 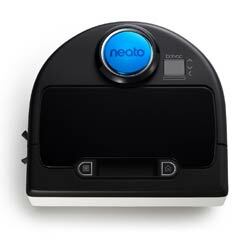 Neato D80 is an automated floor cleaner for any floor covering. Unlike the predecessor model, the device is equipped with two brushes - the main and combined for even more thorough cleaning of the floor from debris, hair, wool. The robot is an ideal solution for owners of pets and people with allergies. Neato D80 is a powerful robot cleaner that can not only vacuum your floor from dust, debris, hair and pet hair, but also clean the air with an improved hypoallergenic HEPA filter. The vacuum cleaner is able to clean completely in an autonomous mode, and even he will return to the base for recharging. You at this time can safely engage in other matters, enjoying the cleanliness and comfort of the European level. perfect "smart" navigation, Neato D80 using laser scanner which created a 3D model of the room. The accuracy of navigation allows to remove trash and dust much faster than other robotic vacuum cleaners, save charger, moving without chaotic movements along an ideal trajectory. heights of Neato D80 10 cm, that’s why he can have a problem with cleaning under furniture if its lower than 10 cm. If you are wondering if this generation of robots can get rid of the usual vacuum cleaners, then the answer is no. The automatic assistant is still not an alternative to a good general cleaning. Premium robots moving by itself, which surprise fans of Roomba - till now, all robots from this series, was needed transmitters which should be installed on every doorstep for correct work. In complexation Roomba 980 and Neato D80, both are same. Neato D80 delivered with magnate tape which limits moving, three HEPA filters and additional petal brush. Otherwise, Roomba offers special gum roll and also a little bit "weak" removable filter E11 class. In addition, the package includes two "virtual" walls, through which you can create a virtual room for Roomba or part of a place where cleaning no need - for example, the place where there are cups with food for your pet. For us the difference between Roomba 980 and Neato D80 is perfectly clear: from two powerful robots the competition wins Roomba 980. After several unsuccessful 800th generation iRobot gathered forces and released a product remarkable from all sides. Neato D80, on the contrary, only slightly updated the device, providing it with an application.